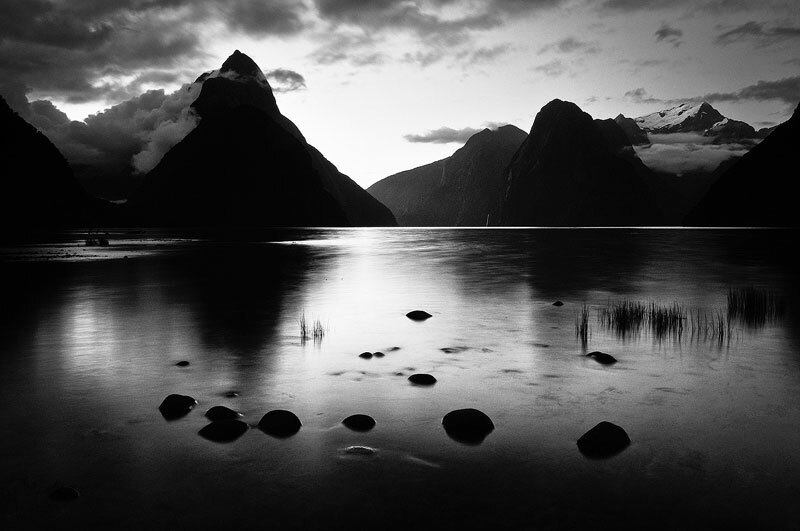 Milford Sound after sunset. | Milford Sound, New Zealand. This image was taken four hours after the sun went down. Sunset didn't provide much colour as there were no clouds in the sky and the sun was in the wrong position to illuminate the peaks. But the last glow of light proved to be quite interesting and worked perfectly for a black and white conversion.